Due to product shooting and light display, there will be some color difference. ✔ This product is made of high-quality metal and natural resin materials, beautifully produced, not easy to rust, and has a long service life. ✔ Size: L31cm * W28cm (12.2 * 11 inches). ✔ Energy-saving light source, easy to replace, safe to use. 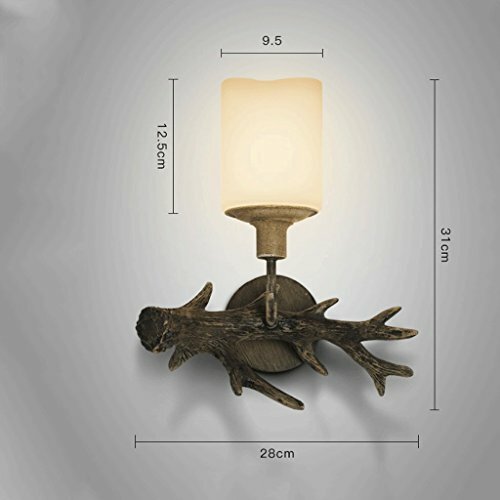 ✔ unique shape, unique style, beautiful and practical, durable and corrosion-resistant. ✔ We usually ship within 1-3 days, delivery time is 9-15 days,if the goods are damaged after receiving the goods, please contact us in time and we will reply you within 24 hours. If you have any questions about this product by HY, contact us by completing and submitting the form below. If you are looking for a specif part number, please include it with your message.